Anyone who has watched more than a couple of minutes of Fox News knows that it is a purveyor of non-stop Trump-fluffing. The program hosts are evangelists of White House doctrine, wholly devoted to the mission of the reality TV game show host currently playing the President of the United States. 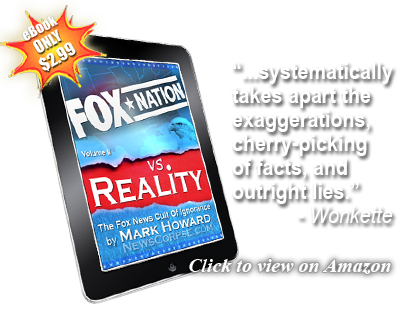 Fox News has succeeded in cornering the market in ultra-rightist blather and Trumpian sycophancy. And now they have apparently decided to take some pride in their partisan bias by bragging about it on the air. This moment of self praise came during a rally Donald Trump headlined in Duluth, Minnesota on Wednesday. The scheduling of this rally was peculiar itself considering that Trump had canceled a picnic for members of Congress earlier the same day. His reason for the cancellation was that “it didn’t feel right,” due to the still roiling controversy over his policy of ripping apart immigrant families. But apparently it felt right enough to fly to Minnesota and appear at a campaign rally where he ranted incoherently about how awesome he is and how much he hates anyone who disagrees. So it’s apparently official now: Fox News is the Propaganda Ministry of the Trump Regime. 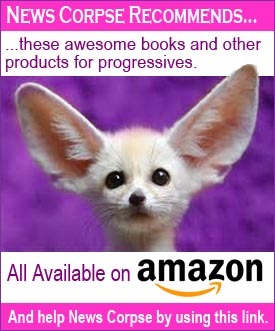 Not only is Fox advertising that they will air every sacred word of their White (House) Messiah, they are also disparaging their competitors who choose to respect the conventions of professional journalism. Legitimate news outlets should only air live campaign events when there is something credibly newsworthy about them. No one can make that claim about a Trump event with a straight face. For the most part Trump has been delivering the same speech for months/years as if he were a washed up oldies band trotting out his hits from the seventies: “Lock Her Up.” “Build the Wall.” “Make America…” blah, blah, blah. 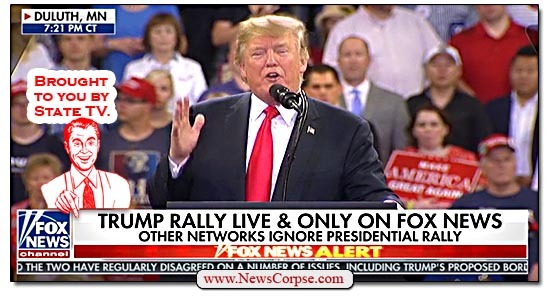 While Fox News whines that other networks are ignoring a presidential rally, what they are actually doing is ignoring a painfully unpresidential public psychotic breakdown. They are avoiding poisoning the airwaves with Trump’s flagrant self-promotion and insulting diatribes. They are refusing to provide free airtime for a partisan rant before an audience of glassy-eyed disciples. Which means that Fox News, by contrast, is willingly doing all of that with an unrestrained sense of pride and self-satisfaction. They are letting everyone see their undying loyalty to Trump and commitment to his warped, divisive, and anti-American mission. Maybe I get it. None. That’s WordPress for you. Hey Fox News watchers! Did you know that carbon monoxide is actually good for you? Don’t believe the liberal media or so-called scientists who have all been bought off by George Soros! Only five minutes a day of inhaling pure CO has outstanding health benefits! Try it today and see!